Neil O’Donnell was recently featured in an article by the Citizen’s Voice, a prominent local newspaper for Wilkes-Barre and Scranton. Clergy abuse victims of the Diocese of Scranton now have a compensation program that can help resolve their abuse claims. However, O’Donnell and other experienced attorneys believe that the fund carries additional risks for both the survivors and the diocese. 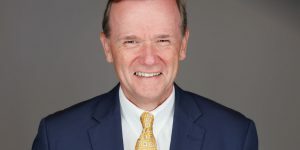 O’Donnell, who has previously handled clergy abuse cases in Pennsylvania, thinks that the decision to participate in the program is dependent on a few factors. The biggest “gamble” depends mostly on the state legislator’s decision to give a statute of limitations extension for child sexual abuse victims to file lawsuits against the institutions in question. Many victims currently don’t have the option to sue because their claims could be outside the statute of limitations. If the extension is not passed, victims must file by July 22 if they have never previously reported abuse. If victims have filed reports with the police or diocese, their deadline is September 30. As for the diocese, the funding program allows it to reduce exposure to jury verdicts and potential lawsuits if the legislation passes. However, the fund has removed some protections that expose it to claims that they could have previously avoided paying for. O’Donnell and Scranton lawyer Timothy Lenahan haven’t reviewed all of the terms of the program yet. In general, however, they believe that the program is a “good fit for many victims.” Read this article to learn more about the funding program and O’Donnell’s participation in representing victims.